ABVP leader claims he didn't know the varsity hadn't approved of his request. 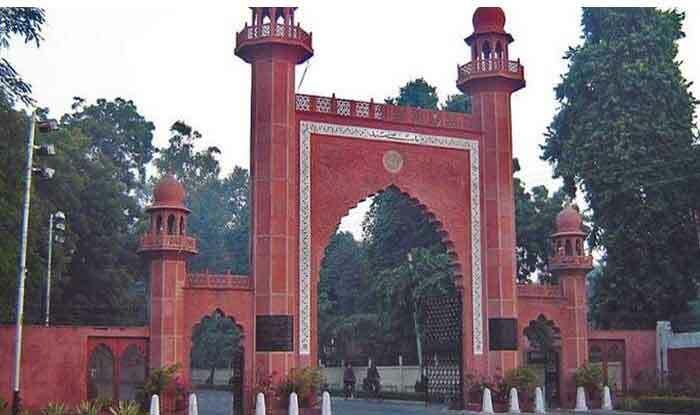 Aligarh: Aligarh Muslim University (AMU) finds itself in the middle of yet another controversy for issuing a showcause notice to an Akhil Bharatiya Vidyarthi Parishad (ABVP) student leader for organising a ‘Tiranga Yatra’ on the campus. BJP MP from Aligarh, Satish Gautam, has attacked the varsity for its action and asked it to withdraw the “senseless” notice without further delay. He has also written to Union HRD Minister Prakash Javadekar over the issue. The university had issued a showcause notice to ABVP student leader Ajay Singh for holding an “unauthorised procession”, called ‘tiranga yatra’ on the campus on January 22. Singh is also the grandson of a local BJP MLA. Proctor Mohsin Khan issued the notice, mentioning that the ‘tiranga yatra’ was held during teaching hours and some students were forced to leave their classes to attend it. The notice also mentioned that many “outsiders”, including anti-social elements, participated in the procession. Singh claimed he had “not been informed” that his application seeking permission for the yatra had been rejected. “How could I assume that I have not been given permission when I did not receive a response to my application,” Singh said. “Holding a Tiranga Yatra for the unity and integrity of the country is a laudable step but holding a procession for deliberately stoking emotions is something else,” he added. He said that week-long celebrations were being held on the campus and those who organised the motorcycle rally should have participated in those events instead.